This project presented an opportunity to design an anchor mixed use building on a brownfield site at the West end of downtown. The ground level plan includes four retail units with prime street frontage plus a large space on the Town’s Riverwalk for retail or arts group use. 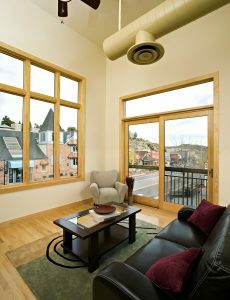 The upper floor consists of nine higher end loft style condominiums with decks overlooking Fall River, Elkhorn Avenue and the mountains beyond. 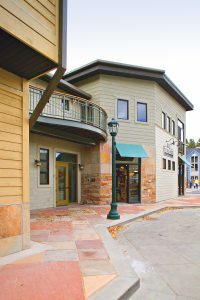 Developed in collaboration with the Estes Park Urban Renewal Authority, building and site combine to provide a pedestrian friendly focal point for shoppers and residents. BAS1S acted as the Architecture firm as well as a partner in the development of the property. 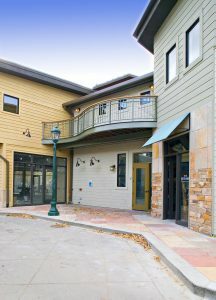 We saw an opportunity to replace a dated gas station with a large, multi-use building more fitting of a downtown setting. The additional opportunity with this project was to connect the existing Downtown Riverwalk through to the less trafficked, west side of downtown. 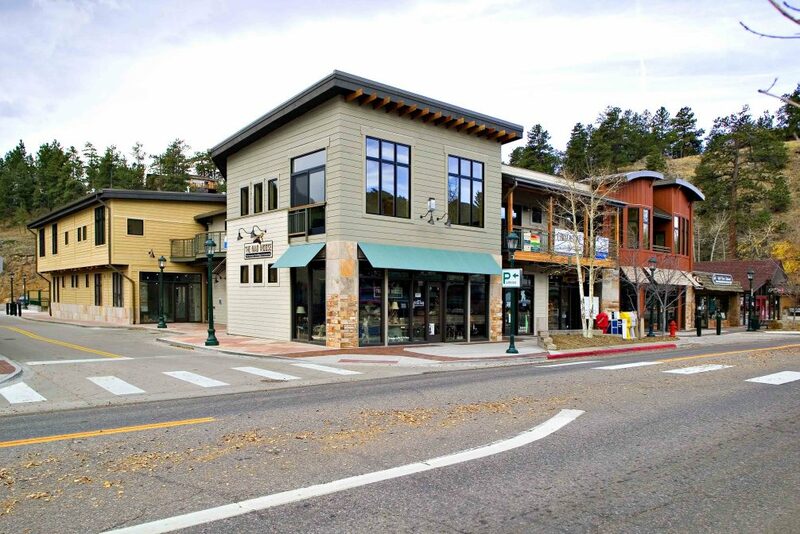 In collaboration with the Estes Park Urban Renewal Authority, we designed the building and site to provide a pedestrian friendly focal point for shoppers and residents. 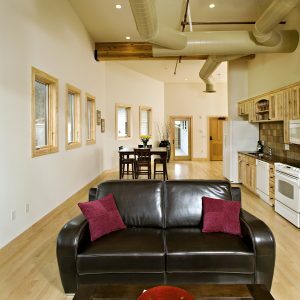 The conversion morphed an under-utilized side of town to a vibrant part of the downtown corridor. 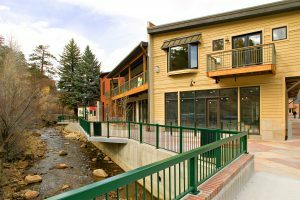 As a traditional mountain town, this type of project was “outside-the-box” in it’s design and function. 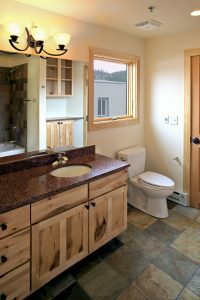 This progressive type of project helped drive traffic to a under-utilized part of the downtown area and allowed for residential and vacation renters to enjoy the convenience of downtown living in a small mountain town. 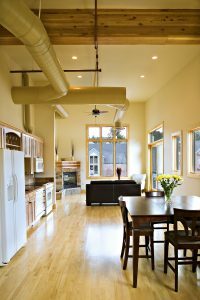 Those residences used for vacation rentals have been extremely popular and helped infuse town with a both tax revenue and a sense of vibrancy.